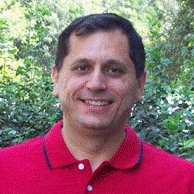 Dr. Cengiz S. Ozkan is a Professor of Mechanical Engineering, Bioengineering, Electrical Engineering, and Materials Science and Engineering at the University of California Riverside. He holds a Ph.D. degree in Materials Science and Engineering from Stanford University. He has over five years of industrial experience including Applied Micro Circuits Corporation (AMCC), Intel Corporation and Analog Devices. After completing his PhD studies, He worked for AMCC in San Diego, and concurrently, he served as a consulting professor at Stanford University and a lecturer in Electrical Engineering at the University of California San Diego. He has been a member of several National Centers including the SRC-DARPA funded FCRP FENA Center, the UMASS NSF MRSEC on Polymers, the UMASS NSF NSEC on Hierarchical Manufacturing, the NCI-NIH funded UCSD NANOTUMOR Center, and the DARPA funded UCR CNID Center. Just recently, he joined the SRC-DARPA funded C-SPIN Center. His areas of expertise include nanomaterials synthesis/processing including graphene, III-V and II-VI materials, hierarchical and multilayered nanostructures, energy storage devices, nanoelectronics, biochemical sensors, nanopatterning for beyond CMOS, and nanoscale characterization. He has more than 200 technical publications including journal papers, conference proceedings and book chapters. He has over 50 patent disclosures, has given more than 100 presentations worldwide and is the recipient of more than 30 honors and awards. He is the Editor-in-Chief for “Nano Communications”. He organized and chaired 14 scientific and international conferences.